The manufacturing industry is currently in the grips of a skills crisis. According to figures from Engineering UK, 182,000 extra engineers will be needed per year up to 2022. This means we need to double the current number of graduates entering the profession. 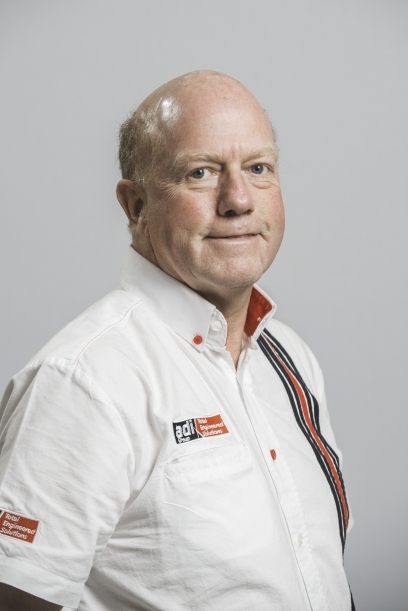 Alan Lusty, CEO of multi-disciplined engineering company adi Group, explains why working with schools is essential to drive more young people towards a career in engineering. It’s a well-known fact that our country is struggling to fill the nationwide skills shortage and the ‘skills gap’ is, unfortunately, a phrase that is getting more and more common. 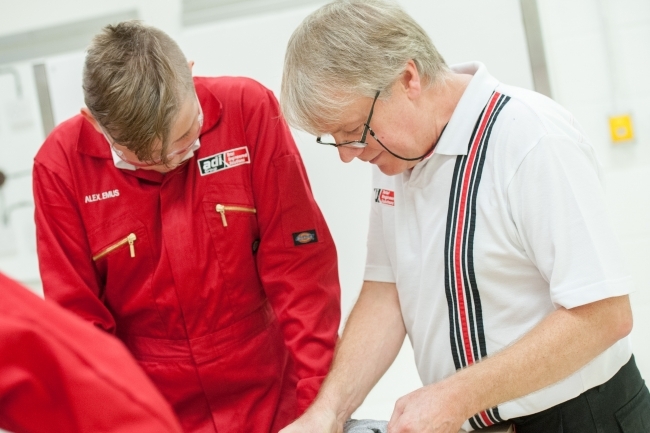 All over the country meetings and events are happening every week to discuss what can be done to address the steady decline in engineering skills. While companies begin to play a more proactive role in addressing this, too many rest their laurels, expecting schools and universities to provide them with a steady stream of new recruits. This simply isn’t good enough: companies themselves must be more imaginative when it comes to recruiting, developing and retaining staff. A recent survey by Jobsite found that the current engineering talent shortfall is driven, not by lack of interest, but by the fact that young people simply do not know how to enter a career in this sector. Six out of ten (63%) 16-18 year olds don’t know what qualifications are necessary to become an engineer, while three quarters (74%) don’t know of any engineering work experience opportunities. So, with more than 50 per cent of respondents expressing a desire to join the industry, what can companies do to bring them on board? As a starting point, every business should establish an apprenticeship scheme as a means of offering workplace training and employment opportunities to young people. Apprentices can be an invaluable addition to any organisation, bringing energy and enthusiasm and a willingness to learn the trade. Companies that embark on such schemes can feel a sense of pride in doing their bit to alleviate skills shortages. And I speak from personal experience. At adi Group we have been taking on apprentices every year since we started in 1990 and we currently have 21 enrolled in our post-16 apprenticeship scheme. What’s more, last year we launched the UK’s first pre-apprenticeship scheme for 14-16 year olds, in partnership with a local secondary school. At this age, young people are making decisions on what subject areas they need to help them in their future careers. If companies can reach out to them and show them that engineering is a viable career option, then they will be putting the wheels in motion for when they leave school and can enter a full-time apprenticeship. 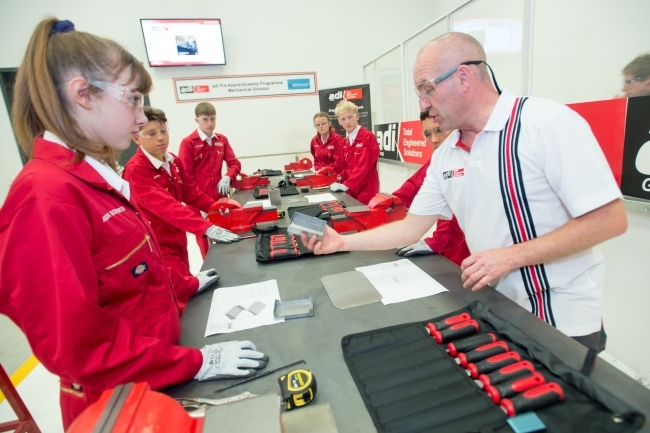 The adi pre-apprenticeship scheme involves 24 secondary school students – male and female – attending the Group’s workshop for half a day each week. This occupies 10% of the students’ overall curriculum time as they continue to work on their GCSEs alongside the course. Unfortunately, despite this being the right course of action, these types of partnerships are a rarity. According to an IAC survey of apprentices, half of all those surveyed found out about their apprenticeship through their own initiative, with a mere 15% finding out from a teacher or careers adviser. In fact, some students are being actively discouraged by their schools to take on apprenticeships, demonstrating the need for employers to work with educational providers to emphasise the value of work-based learning. adi Group’s long-term aim is to support the engineering and manufacturing industries by providing a constant stream of young talented people who are well prepared for specialist roles. Our pre-apprenticeship and apprenticeship programmes are clear demonstrations of that intent. However, we can’t do it alone. We need more businesses to adopt similar initiatives and increase the number of work experience and educational placements available. We want to deliver 96 pre-apprenticeships by 2020 to help meet the demand for engineering skills. In addition to this, the pre-apprenticeship model is completely available, free of charge, for any employer or school that wishes to replicate an existing scheme which has proven to work, and work well. We have also published a pre-apprenticeship programme guide for businesses – Inspiring the Workforce of Tomorrow. This literature covers the ‘whys’, ‘whats’ and ‘hows’ of the scheme, including the tangible benefits that businesses can gain from integrating the model into their own workplaces. For instance, businesses will significantly reduce future recruitment costs by creating a steady and reliable pipeline of recruits, who are more likely to remain loyal to the company. The vision is that the pre-apprenticeship model and approach will reach out to thousands of young people, via a network of like-minded businesses interacting with their local schools. We look forward to seeing where these conversations will take us, and how we can help shape the future of the nation’s skills shortage together.